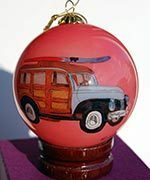 Geri's art on glass ornaments is available in the designs listed below. 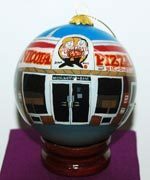 Custom designs also are available and are perfect for fundraising for churches, schools, museums, and other organizations. See the wholesale & fundraising section, or Contact Geri, for more information or for an image of the design.